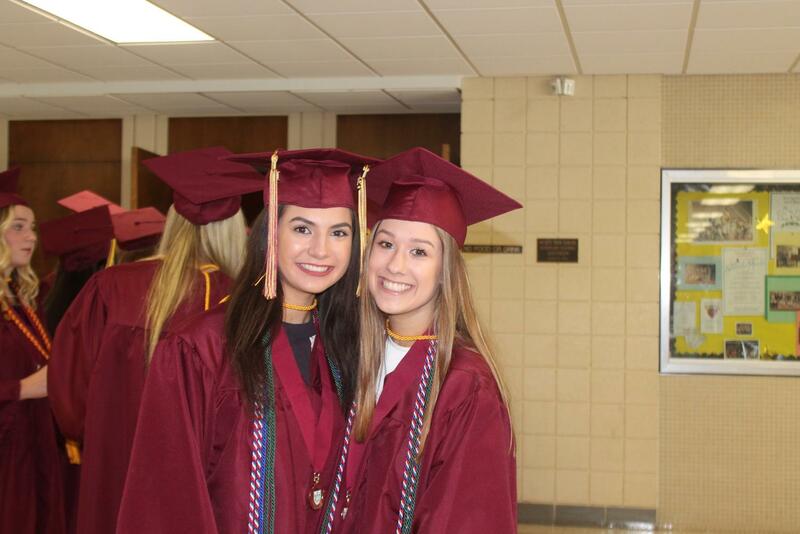 At the end of every school year, Mercy celebrates its students and staff with an awards ceremony and Honors Convocation. Both academic and athletic awards are presented to students, and staff members are honored for their hard work. Awards presented include the Sister Emily George award — presented to senior Catie Coffman this year — and the Teacher of the Year award is formally presented, this year to history teacher Ms. Lisa Robinet. Honors Convocation also honors each and every senior for her four years of hard work.